Are you tired of tangled cables and cumbersome audio apparatus? Do you want to take your headphone-game to the next level? Well, we've got some good news: the Anker audio family is growing! 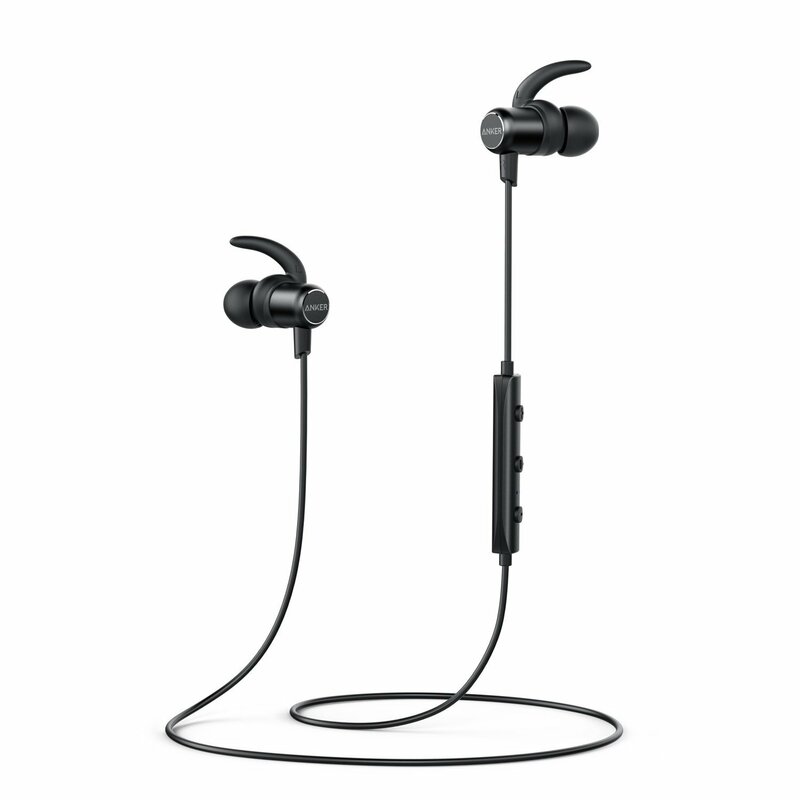 SoundBuds Slim are our newest addition, designed to deliver beautiful, wireless audio via ultra-light earbuds. According to market research, 2016 saw Bluetooth headphones outsell 3.5mm jack for the first time in the US - a trend which looks to become the norm as we move towards freewheelin’ audio. For the times they are a-changin', as wireless looks set to take over. BUT, what makes SoundBuds Slim the best choice? As the name suggests, SoundBuds Slim are engineered to be sleek and super lightweight. The Slims come in at around 15g (0.53 oz), roughly the same weight as 3 sheets of paper. Despite the minimalist design, SoundBuds Slim pack robust performance in any environment. 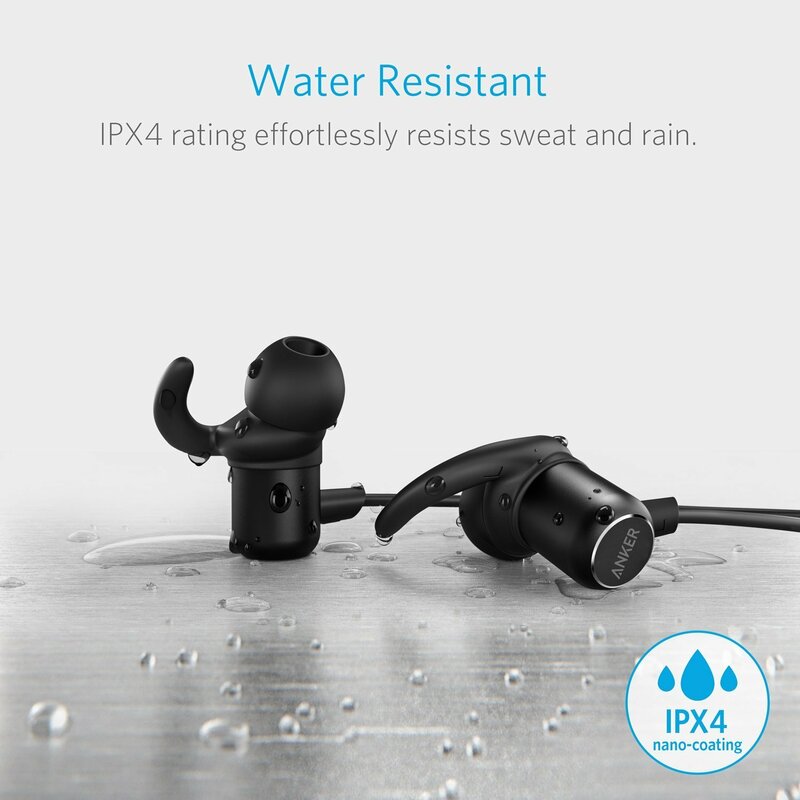 IPX4 water resistance offers uncompromising defense against sweat and rain, while the magnetic design conveniently clips together when not in use. Anker trademark technology naturally ensures the Slims lead the pack when it comes to playtime. 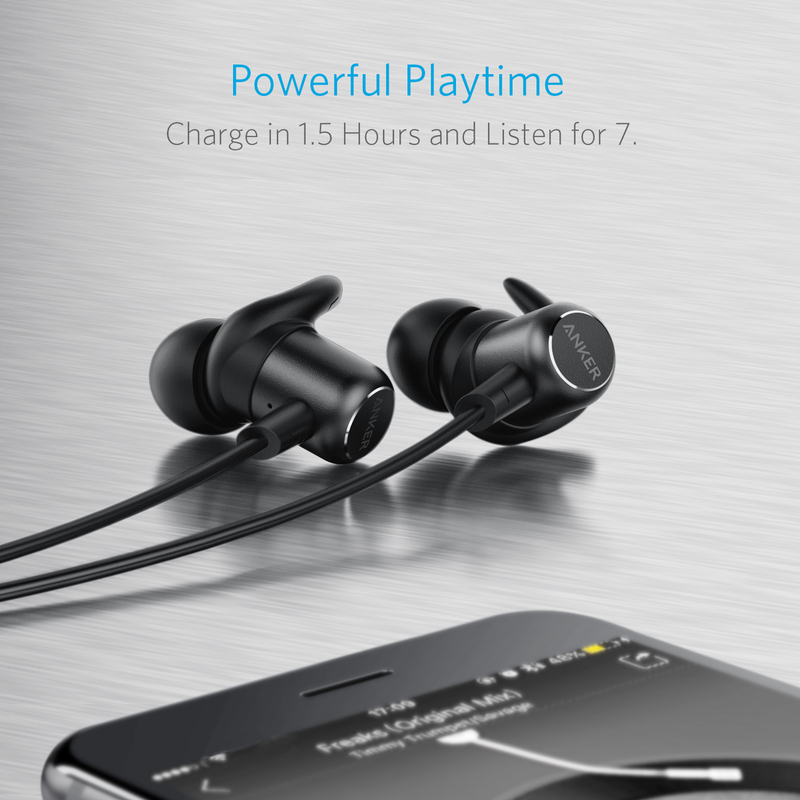 The earbuds fully charge in just 1 ½ hours, and play for up to 7. That should be ample juice for a week's worth of gym sessions , or enough to last you through several commutes. Generally speaking, we don’t like to talk about money... but priced at just $29.99 in the US they’re unbeatable value for crystal-clear, quality Bluetooth audio. In fact, we’ll scream from the rooftops “QUALITY WIRELESS AUDIO HAS NEVER BEEN SO AFFORDABLE”. The Slims also pack an in-built mic for hands-free calling, in-line controller for more intuitive functionality, fully customizable fit and a carry case (kitchen sink not included). Basically, we like to think they’re pretty good, and we’re confident that you’re going to love them too. Ok, I’m sold. How do I get my mitts on ‘em? The SoundBuds Slim are available and in-stock NOW on amazon.com, amazon.co.uk, amazon.ca and amazon.de! What’s more, to help celebrate the launch we’ve decided to share the sounds with our conscientiousness community. We’ve got 30 pairs to giveaway... to enter, simply leave us a comment and give this blog post a share on social media. How stoked are you about minimum-build, maximum quality earbuds? We’d love to hear your thoughts on the SoundBuds Slim. ● USA, UK, Germany and Canada only. ● Winners will be chosen randomly, the giveaway ends 19th Feb.
● We’ll announce winners via the community forum on 20th Feb, and we will be in touch with winners via email to request a delivery address. WOW. The only words needed to describe these high quality ( no brainier when it's made by Anker ) crystal clear in ear buds. Would be an amazing day for myself if I won these! Thank Anker! Nice, I would like to try them. I would really like to get a pair. Would be really handy while doing my sports. Nice, I already liked the sound buds sports! Just bought my other half some of your wireless sport buds for Valentines Day (ah, how sweet) and would love to win some for myself! Looking forward to giving these a test out! Nice job Anker! Should be great for sports. My current BT headphones are too big and heavy.